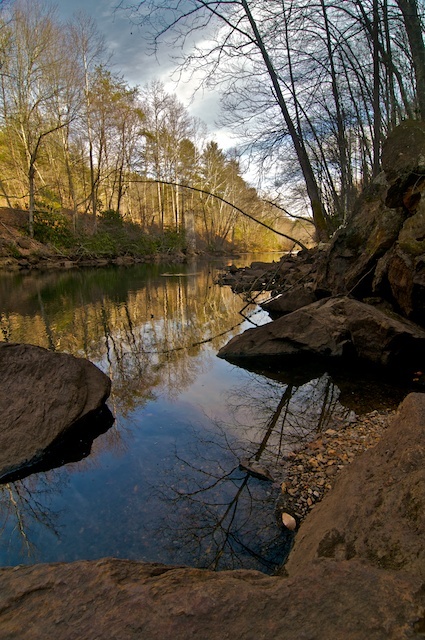 There are trout waiting here, for some wintertime fisherman…which I am not. This photo was taken just below the Philpott Lake Dam, and when the Army Corps of Engineers releases water from time to time, where I was standing would be under water. This stretch of the river is a favorite place of mine to wander, and I never have trouble finding something interesting to photograph.